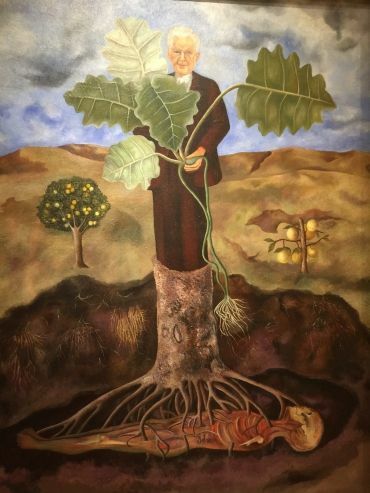 I slipped into the Salvador Dalí Museum in St. Petersburg to see the Frida Kahlo exhibit. My dear friend Jane, who recently died, loved Frida and the way the Mexican artist fused pain with her art to explore the inner world. Manny of the autobiographical pieces were displayed along with excerpts from Frida’s diaries. 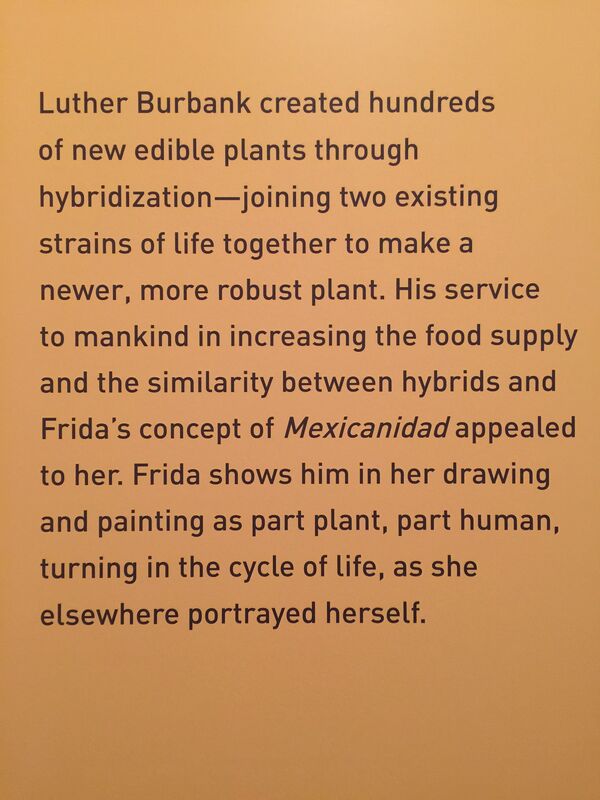 Frida also fixed her eye on subjects outside herself, like the one above of Luther Burbank.